WHAT I SMELL: Une Rose Chypree opens with bergamot and lemon with a quick move to orange, then back to a “Lemon Pledge” smell. It’s rather cool, like a spring breeze going through an orange grove. After a couple of minutes, it warms and the fragrance begins to harmonize. What I mean by that is that the notes, rather than acting in a singular fashion, start blending together. After around 5 minutes, I begin to get hints of rose, but it’s so muted that it feels like it could be a combination of any floral. After around 10 minutes or so, the rose begins to bloom, and it’s mixed with a deep and almost caramel base. It actually feels a bit gourmand at this point, almost like it would be perfect to add as a mix to sweeten a cup of coffee. But as soon as I have those thoughts, it then turns slightly lighter and the fragrance becomes a bit dryer with a layer of oak moss and powder. It’s at this point that the fragrance reminds me a bit of Amouage’s Fate Woman, which is a good thing since I love Fate Woman so much. After a short while, Une Rose Chypree moves out of the Fate Woman stage and the fragrance moves from the light to a deeper and richer stage. I find the fragrance glorious at this point. It feels vintage and extremely well blended. This is a rose that doesn’t say rose as much as it says warm floral. Wait….here, I thought the progression of the fragrance was complete, instead it gets a little spicier but in the end, the spice is tamed by the vanilla for a nice creamy (but yet dusty with the oakmoss) finish. 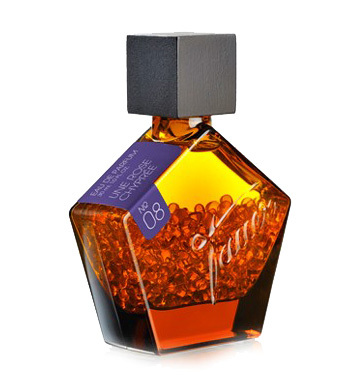 Head Notes: Soft bay and hot cinnamon complemented by bergamot, lemon peel and clementine. Heart Notes: A rich rose chord with Bulgarian rose oil and rose absolute, and Bourbon geranium. Body Notes: Dark and resinous labdanum, oak moss, patchouli, vetiver and vanilla. 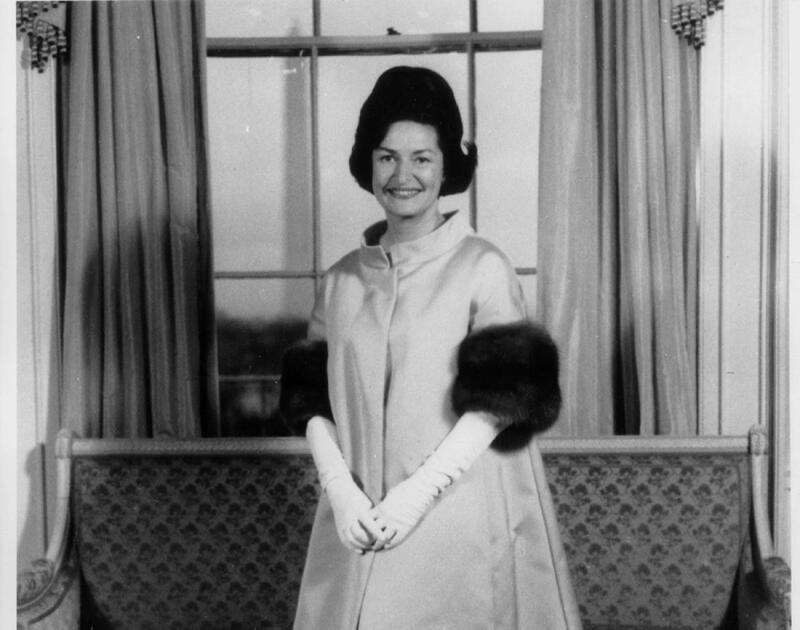 No, my mother was not Lady Bird Johnson…but you get the point. WHAT IT SMELLS LIKE TO ME: My mother all glammed out in 1965 to include the white gloves. BOTTOM LINE: I think of this as a rose for those who don’t want their rose scents to scream “ROSE.” It’s muted, contained, proper and pretty without being girly. This is my kind of Valentine rose! Classification: Feminine, but fine for a man. Categories: Tauer Perfumes | Tags: 4 bones, chypre floral, EDP, fragrance, parfum, review, Tauer Perfumes, Une Rose Chypree | Permalink. I adore all of Tauer’s roses, but especially Une Rose Chypree and Incense Rose. The photo you have chosen is so appropriate since I often find Tauer perfumes have a delicious retro feel to them, despite being modern. Great review and great photo. Thanks my dear. What I love about Andy is that his fragrances are very good at taking you back. Putting time in a bottle is truly an art form. I love this one. It’s a good rose for people who don’t normally like roses because like you said it doesn’t scream rose. I wish I had a cool name like Lady Bird. I shall call you Poodle Bug. Does that work? Well it doesn’t have quite the same ring to it but it might work. Lol. It sounds so wonderful! Great post and a great photo of Lady Bird. When ever I see her I can hear her saying “When you plant a tree, think of Lyndon and me.” She was all about keeping America green in the trees and shrubs sense of Green. And that’s a great response coming from a generation where environmental control was abandoned! I like Une Rose Chypree but don’t love it. I plan on testing it more at some point but I like two other Tauer’s roses (Une Rose Vermeille and Phi) much more. Still – very nice review. I’m sure it’ll prompt some of the future readers to seek and try it. This is my very favorite of all the Tauer scents. I describe it as A Rose From The Past. I am so lucky to have a FB of this, and will treasure it! Jennie – you are a lucky girl. Glad you love it so much! I just had to check that one again. Last time I did, I didn’t find it particulary to my taste. But today I find it very cosy and lovely. I don’t know is it weather or my mood, maybe both? I’m not great fan of rose perfumes, but this one is nicely done and not as watery as many of rose perfumes. Mood, weather, it all can make a big difference. Just the other day I wore Portrait of a Lady which I typically like and it just wore me out. I’m not sure why, but it did.